For those of us who are fairly new to Path of Exile, we’re used to a typical cadence: a new content update/league about every three months, with a big expansion once per year. Grinding Gear Games has done a good job of maintaining that cadence while keeping the quality high, but it wasn’t always that way. 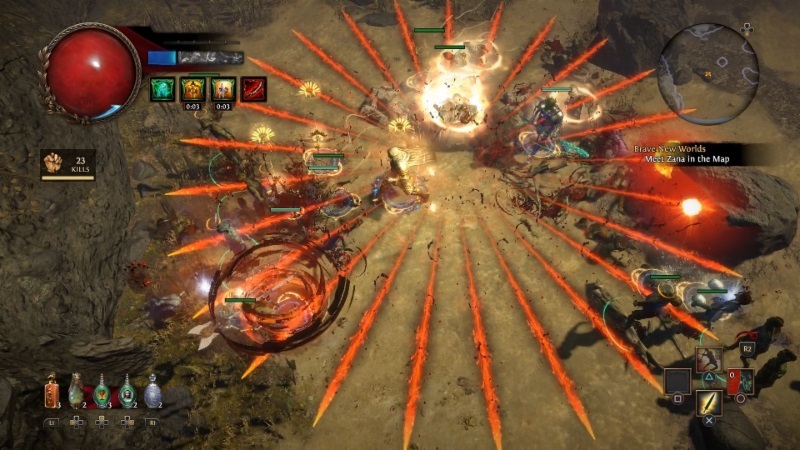 In a panel at GDC last month, GGG’s main man, Chris Wilson, talked about his company’s goals for PoE, how it got to where it was, and how it keeps on keeping on. The original plan to keep PoE sustainable was that it would average at least 10,000 concurrent users. Early releases did that, with peaks early in their life cycle greatly exceeding those numbers, but the dips between those updates, as well as their irregularity, worried Wilson. As such, by taking advice from a well-known streamer, Grinding Gear got into the habit of more regular updates, each with specific draws to bring in a wide variety of players. As for how they accomplished that on a regular, 13-week cycle, Wilson said that his team relies heavily on procedural generation, multiple axes of randomness, asset and content re-use, and a keen understanding of the relation between amount of work done and quality of a finished product. In other words, you can never really “finish” something, because there are always improvements that can be made, but you can get darn close, ideally without burning out your team in the process. In all my interviews with Wilson, he’s been great at explaining exactly what his company’s goals are and how they go about accomplishing them, with a minimum of “PR talk.” This panel, embedded below, is long but contains that same level of candid expression and is a must-see, not only for Path of Exile fans, but for anyone interested in game design. It was a good panel, he rattled through it but some of the segments could have been a panel on it’s own.